Orange Pi is a SBC (single board computer) like raspberry pi. This means it has all the components of a fully functional computer on a single PCB board. A computer is more than just a processor it requires hardware to display graphic, provide IO interfaces like USB/ VGA/ audio/ HDMI etc. power management for controlling CPU speeds according to temperature and many other functionalities. All these functionalities exist on such tiny packages is quite nice. 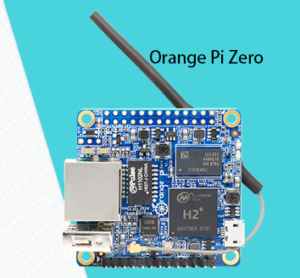 Orange Pi like raspberry pi based on arm chip sets for its CPU, it is essentially same type of processor/ graphics chip combo as used in mobile phones. This makes Orange Pi (and similar SBCs) very energy efficient. Another aspect of its usability is GPIO pin (General Purpose Input Pin) which enable implementation of embedded systems project with use of various sensors and motors but since it runs a complete OS instead of just firmware (like arduino) one can use any programming/scripting language to control it all, infact you can just try commands to the command line to control these pin to try on/off led for example without use of any programming at all. armbian is not on this listed but it works and I like it the most in available options. Orange Pi is a good alternative to Raspberry Pi but it does not have its community support or its stability in terms of software packages, so anyone just getting into SBC can easily get frustrated with it. But if you are familiar with SBC or don’t mind tinkering around to get things working Orange pi has more horsepower at better price that raspberry pi. In case of raspberry pi zero I would say it even has better availability, as one of the reasons that I bought my first orange pi was that I could not get my hands on a raspberry pi zero or a raspberry pi zero w (wifi version).